It has been a decade since the last auditions were held for a Tabernacle organist. With the recent auditions complete, the renowned Mormon Tabernacle Choir announced on Monday, 22 January 2018, that Dr. Brian Mathias will be joining the current organ staff. According to the Mormon Tabernacle Choir’s official website, “With Dr. Mathias’ appointment, there are now four full-time Tabernacle organists—Richard Elliott, Clay Christiansen, and Andrew Unsworth—with two part-time organists, Bonnie Goodliffe and Linda Margetts.” His duties are the same as the other members of the distinguished group – perform with the choir in telecasts, recordings, tours, concerts and other appearances, as well as daily organ recitals. Dr. Mathias comes from Brigham Young University (BYU) where he has taught in the School of Music at BYU since 2014. As a professor at BYU, he taught applied organ and carillon, as well as, courses in hymn playing, keyboard harmony and improvisation, and organ literature. 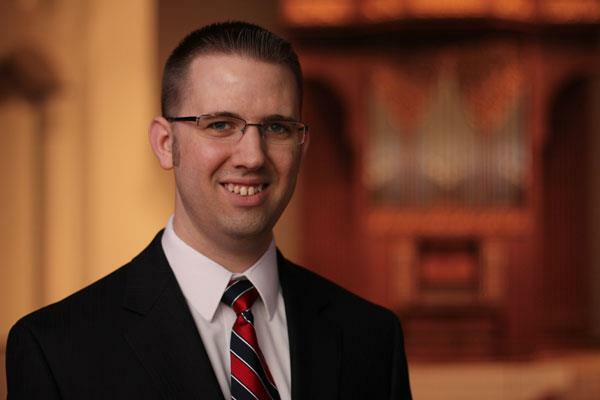 Prior to becoming a faculty member at BYU, Dr. Mathias was an adjunct faculty member at Washburn University in Topeka, Kansas, and Associate Organist at Country Club Christian Church in Kansas City, Missouri. 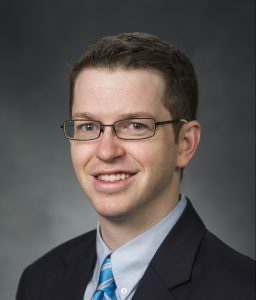 He also serves on the faculty of the annual BYU Organ Workshop, where he has taught courses on a variety of topics, including organ registration, organ literature, advanced pedal technique, and music theory. He earned a Doctor of Musical Arts degree at the University of Kansas, and Bachelor of Music and Master of Music degrees from Brigham Young University. While in Kansas he studied organ with James Higdon and carillon with Elizabeth Berghout. At BYU he studied organ with Don Cook and Douglas Bush, and carillon with Don Cook. The Deseret News reports that Mathias has performed at a variety of concert halls, including the Washington National Cathedral in Washington, DC, the LDS Conference Center in Salt Lake City, Utah, at BYU-Idaho, and the Texas A&M International University in Laredo, Texas. He has also competed in several world competitions, including the 2011 and 2014 Canadian International Organ Competitions and the 2010 Grand Prix de Chartres International Organ Competition. When will we see Dr. Mathias on Music and the Spoken Word? We enjoy all of the organists and look forward to this young man joining with the others.